Bandon Dunes Golf Resort is the ultimate walking golf experience.There is likely no one else in the world where three top public walking only golf courses are located in such proximity to one another. With the addition of Old Macdonald, Bandon will be firmly ensconced as the ultimate walking golf destination in the world. 18th Green looking back at Bandon Trails. As a first time visitor, I thought I had prepared well for the trip but there were a few things that I was unaware of upon arrival. The information below may be helpful for first time visitor to the resort. 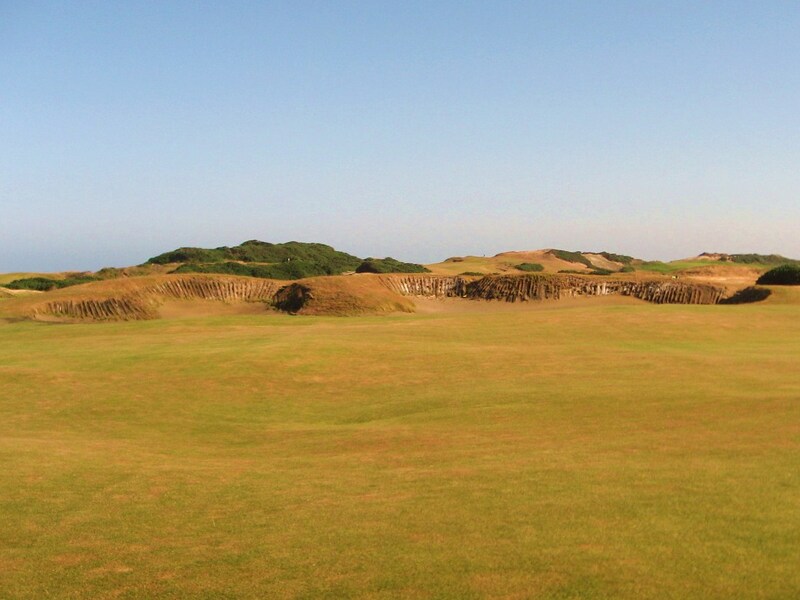 For more information, please check out the Bandon Dunes Golf Resort website. Since you are going to the Oregon coast you are probably expecting rain – it is a good idea to expect the unexpected and pack for all weather conditions. November, December, January, February and March are the wettest months in Bandon, while June, July, August and September are pretty dry. It is possible to get a wonderful long weekend any time of the year at Bandon, which is why many local and some return golfers roll the dice and visit in the late fall or early spring, but if you want clear skies then late June through September are probably your best bet. Average temperatures at the resort range from 54/38 in the winter to 68/48 in the summer. The climate along the coast is fairly temperate, never too hot or too cold, although there is always the chance of snowfall in the winter or a heatwave in the summer. 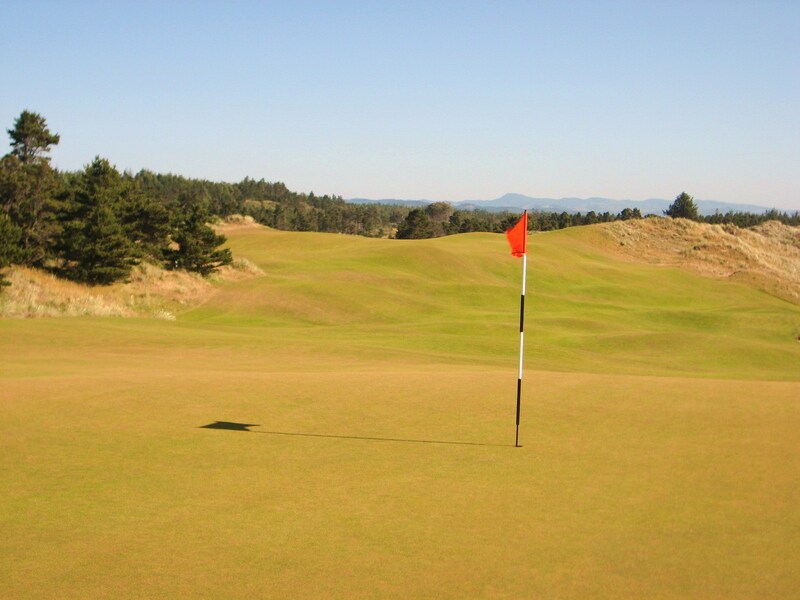 The most consistent element at Bandon is the wind, which is present all year round. Calm periods are quite rare and apparently tend to occur around late September to early October. Normally, however, expect to play with winds in the 10 mph to 30+ mph range. During my visit, the first morning was calm, probably 10 to 20 mph, but the rest of the time it was 25 mph to 40 mph. This is links golf, so wind is part of the experience, just be prepared. 16th flagstick at Bandon Dunes whipping in a 30 mph wind. Since the wind, rain, and temperature can vary significantly over short periods of time, it is wise to pack a fairly heavy bag for Bandon with an assortment of clothing options for your stay. In the summer, you might be able to wear shorts, but pants will protect your skin from the wind. On the ocean holes, a long sleeve top or light jacket will probably add to your comfort, while short sleeves will often suffice on the inland holes. During the spring, fall and winter, a really good rain suit is a grand idea. Most of the water-proof pants that are made by top manufacturers will be comfortable enough to play in for your entire trip. Skillful layering will allow you to stay dry and add on or peel off clothing as necessary throughout the round. In making a decision about the best time to visit, I would recommend performing a thorough cost/benefit analysis. While the “off season” is certainly cheaper, it is much easier for an Oregon or Nor Cal resident to shrug it off if the weather is brutal enough to make the golf too difficult to handle. If you are travelling in by plane, then it may be wise to consider visiting in the high season, or the months immediately on either side, with the hopes of landing some decent weather. The spectacular view from the 16th Tee at Bandon Dunes. As my friend and fellow Society member Matt Lang discovered, getting to Bandon with several connections can be a dicey proposition. Matt had a three leg flight from New York to Denver, then to Portland, and finally to Coos Bay. A broken plane, some bad weather and a missed connection got him to the resort a day late. More importantly, he missed a morning round at Pacific Dunes! 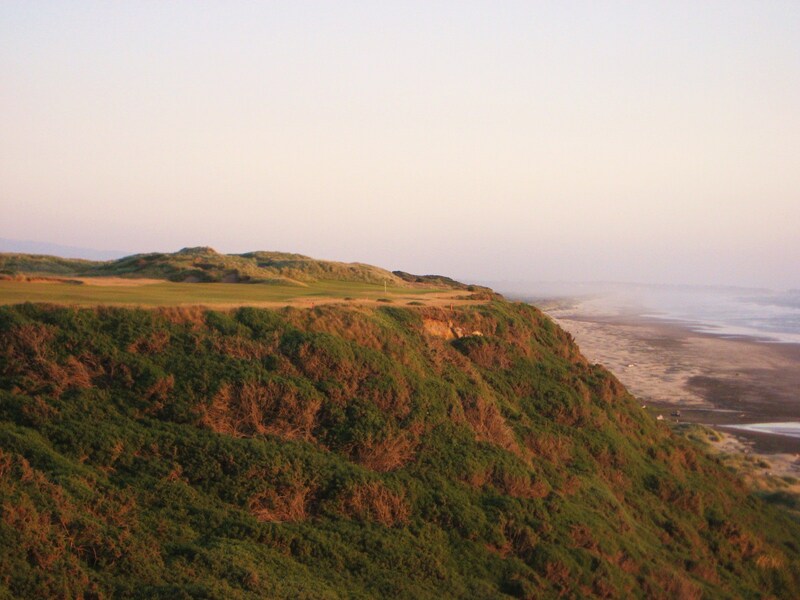 Imagine missing a chance to play the all world 13th at Pacific Dunes because a flight was missed. Bandon is a four to five hour drive from Portland, so it may worth considering a direct flight into PDX, followed by a drive down to the resort. While Matt may have been unlucky, I have heard of others who have found themselves in a similar situation. How often does one plane leave on time, nevermind two or three? If you are going to pick up a connection into Coos Bay, then try to find a direct flight to San Francisco or Portland, with at least an hour or two layover, to minimize the impact of potential delays on the flight in. If you can fly private, well, let me know if you are passing through Portland so I can hitch a ride! Contact the nice people at Bandon Dunes Golf Resort to coordinate a shuttle to and from the airport at Coos Bay. There is an abundance of Lodging options at the Resort, which is nice. The Grove consists of four bedroom cottages, Chrome Lake has twenty-one cottages with up and downstairs units, the Lily Pond buildings have affordable and comfortable two bedroom units, The Inn has thirty-nine individual rooms located near the 18th Green at Bandon Dunes, and The Lodge, which consists of single bedrooms and suites, is located at the center of the resort. I thoroughly enjoyed our quarters in the Lily Pond and would highly recommend them. They are a short walk to the Lodge, and the rest of the resort can be accessed via shuttle. Remember that after parking your car in the lot, you will probably not venture from the resort during your stay as it is nicely self contained. There are several dining options at the resort. The Lodge holds The Gallery Restaurant, The Tufted Puffin Lounge and The Bunker Bar. McKee’s Pub is located a short walk from The Lodge and was my favorite place to eat and have a pint or glass of wine after the round. They have a solid bar menu and the food is affordable. Both Pacific Grill, at Pacific Dunes, and Trails End, at Bandon Trails, are great for pre and post round food and drinks. There is excellent food at the course clubhouses, with the Sliders at Trails End the culinary hi-lite of the visit. 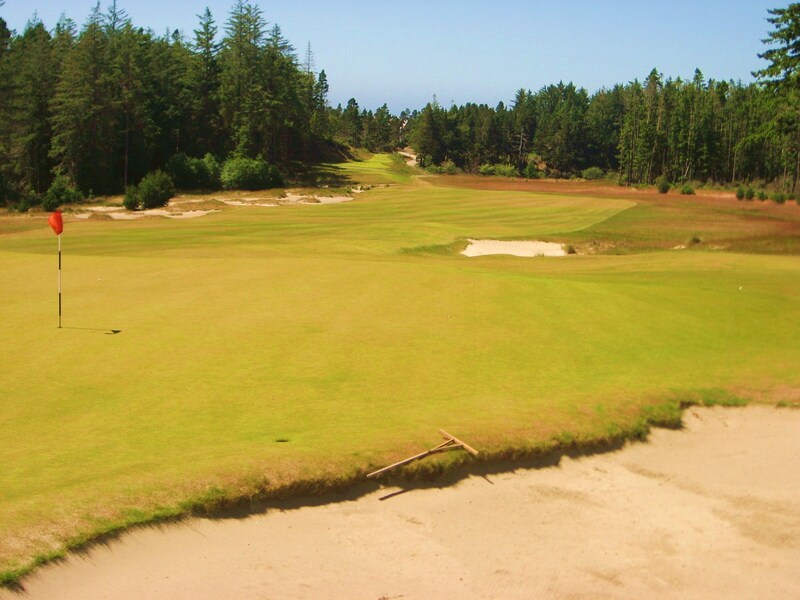 After your round at Bandon Trails, 5th Hole pictured, get the Sliders and a Beer at Trails End. The practice area at Bandon Dunes Golf Resort is excellent. There are dual ranges, a mammoth putting green, a chipping area and bunkers. If you are not worn out from thirty-six holes a day it is easy to burn that last bit of energy banging balls on the range. The Short Course is a ton of fun and a hidden gem at the resort. If you have a chance, get up to the short course before your first round and get a quick refresher course on links golf. The bunkers and greens on the short course are very challenging and it is a great chance to practice those bump and runs that you will be using throughout your stay. The wind really howls at the practice area and short course, so if you can control your ball flight and ground game up there then you are set for the big courses. If you cannot control your ball, you may end up in the Hell Bunker on the Long Hole at Old Macdonald. Bandon Dunes Golf Resort is a walking only resort, since it provides “golf as it was meant to be.” As many guests play a great deal of golf on their visit, it is wonderful that the resort has one of the best caddie programs in the world. All of the caddies that are available to guests are Professionals. Some have been at Bandon since it opened, others have caddied on various pro tours, others at exclusive clubs or overseas at famed links courses like St. Andrews. The caddie is paid directly by the guest. You may charge the fee to your room or credit card in any of our golf shops and you will receive the cash to give the caddie. Bandon Dunes caddies average $80-$100 per bag. The amount of any fee is the sole discretion of the player. No one else may determine a fee, nor may anyone demand one. Our expectation is that a caddie’s performance will exceed your expectations and warrant at least the average stated above. If you wish to comment on a caddie’s performance please feel free to contact our Caddie Services department at 541-347-5875. It is possible, and often wise, to request a particular caddie for your visit if you choose to take one. If available, your Professional Caddie or Evans Candidate of choice will likely accept your bag and join you on your daily golf adventure at the resort. In high season, about 75% of guests will employ a caddie, while over the course of a year that average is about 63%. So if you have a caddie in mind for your trip, contact the resort as early as possible to ensure their availability. Bandon Dunes was the foundation for all that would follow and the 4th Approach is where the golfer first meets the ocean. 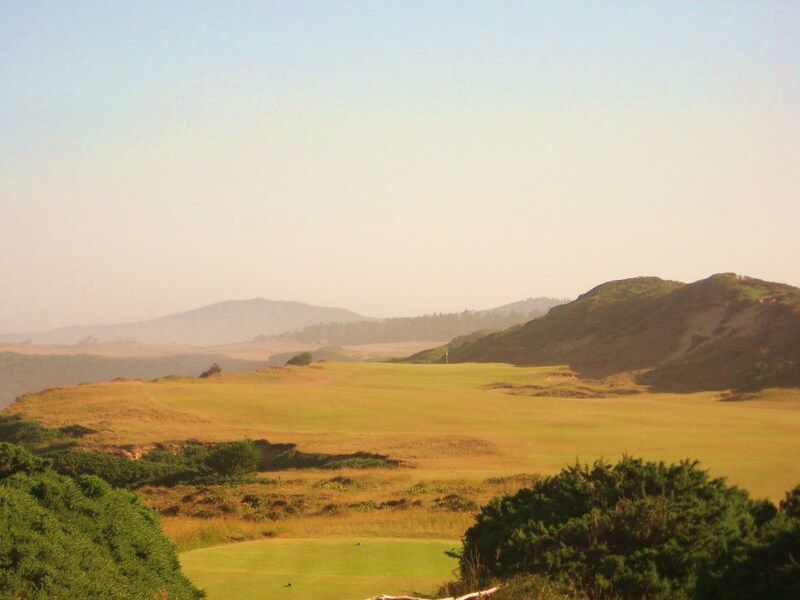 Pacific Dunes is one of the top courses in the world for reasons such as the tee shot at the 4th. 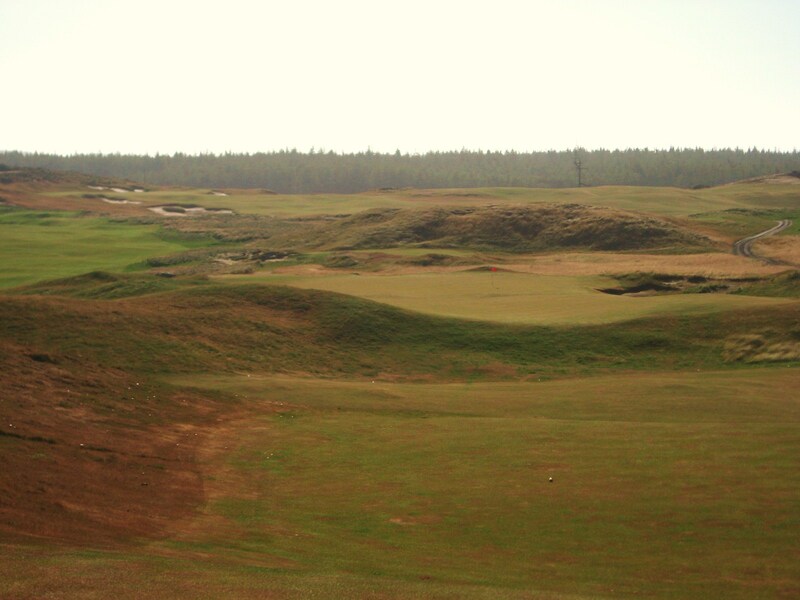 Bandon Trails is an epic journey as illustrated by the Par 4 7th. The rugged landscape of the C.B. Macdonald template inspired course is incredible to behold, as is the design. Biarritz pictured. Enjoy your time at Bandon Dunes Golf Resort, it is a very unique and special place designed specifically for passionate walking golfers. We just got back from 5 days of playing all of the courses at least once. 10 on a scale of 10. The experience was outstanding. Excellent review. I am planning to make a first trip to Bandon next spring. The caddie information is especially interesting. 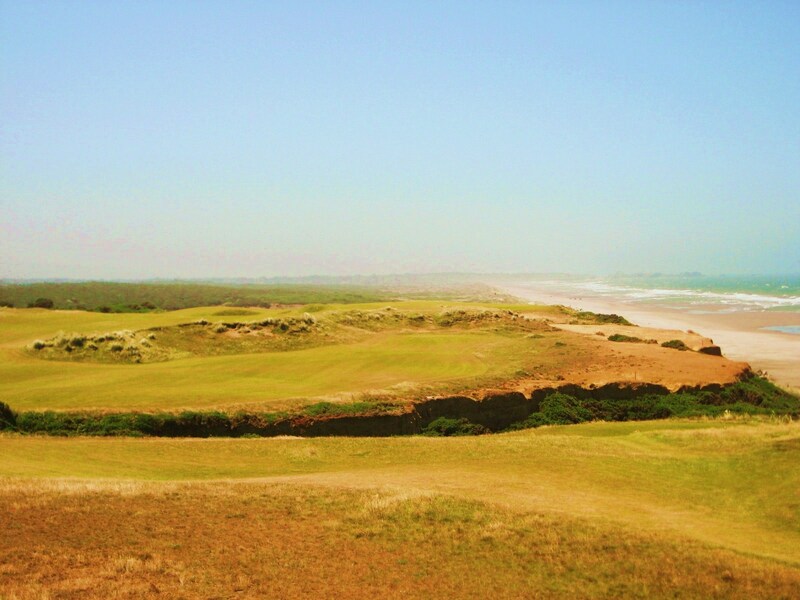 I played 4 rounds March 2010 @ Bandon with 2 rounds at Pacific my favorite. My caddie for all 4 rounds was Jack Parish, a cagey veteran. On the first hole of my first round he asked how far I hit some clubs. By the 6th hole he was handing me clubs and just pointing me in the right direction. I didn’t look at a scorecard or yardage book during my trip. I trusted Jack. He lead me around and took all pressure off me so I could enjoy my walk around 3 great golf courses. I am booked for 5 rounds Feb. 2011, Old McDonald here I come. I have already requested Jack to caddie for me again. I liked it so much that I am willing to spend 14 hours getting there from Upstate NY. The resort is a hoot. My room spotless and comfortable. The food is very good and the service excellent. I made new best friends each night having a cigar and scotch by McKee’s Pubs outside fireplace and later at the Bunker bar. The practice facility is great. Worth the time and money. hi Alex – I am planning to visit bandon & am also from upstae NY – do you have any flight / travel advice ? Jim, I leave Albany on Feb 3. Fly to Washington, Washington to San Fran, San Fran to Coos Bay. You will have to fly united. Ship your clubs ahead. Last year they were only letting 25 people on a 30 seat plane due to weight restrictions. Bags do get left behind. Just got back from a 8 man serious golf junk it buddy trip to Bandon Dunes. Was my 1st time visiting and hopefully not my last! A must play for any golfer who loves the game! Fantastic courses, we had just unbelievable weather. High 60’s all days and little to no wind for the 2nd week of October 2011. 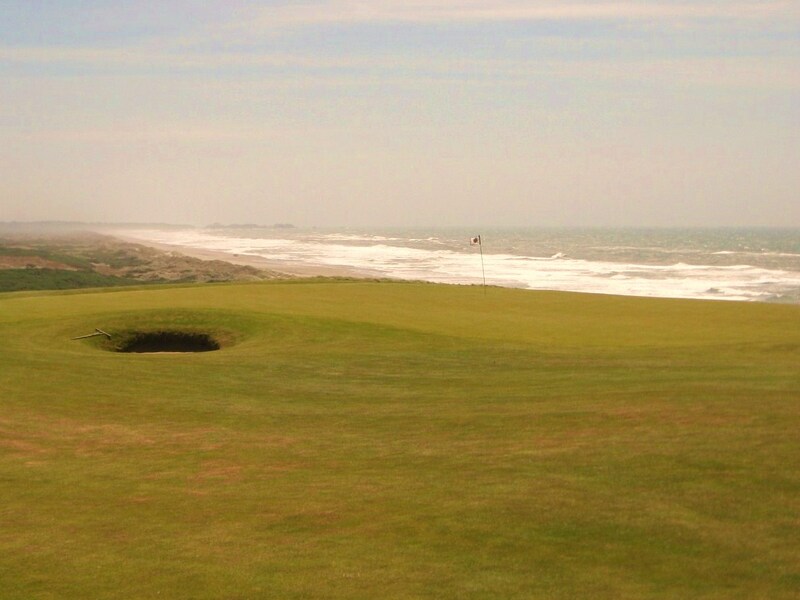 My favorite was Old Mac, Bandon Dunes, Trails and lastly Pacific. All were just amazing, caddies were great, play and condition the best! Hopeful planning another trip in 2012 to visit. It will be a place I want to play ever year god willing. Made the trip to Bandon in October 2011. Weather was pleasant although we did play in some rain the first day on Pacific Dunes. Winds were minimal (for Bandon). Courses and facilities are fabulous…like no other place in America. Our group had two great caddies who not only told us where to hit the ball, but also told us the story behind each course (and most holes for that matter). The golf aside, the view of the Oregon coast is spectacular. Can’t wait to go back. Hope to make two trips in 2012. My stongest endorsement. Hi Steve – After my last trip I rated the courses the same way – Pretty amazing when ALL of the courses are THAT good. Thanks for posting on TWG! Great article. I am back in Bandon in early May for the second time. 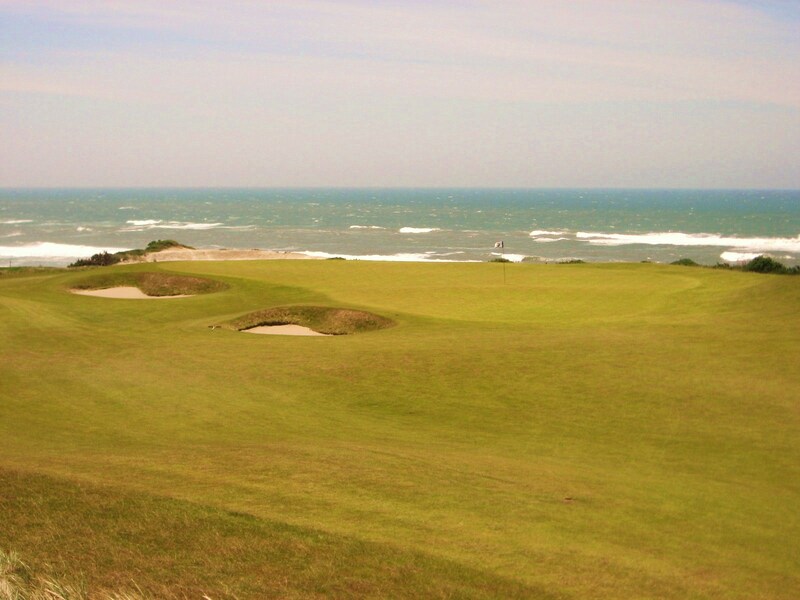 Very much looking forward to playing Old Macdonald since last time I was there (2008) it was being built. Due to your article I have booked caddies for the days we play two courses in the same day. It is strange for Australian’s to use caddies (except for when we are in Asia), so it will be an experience. Interesting how many of the blogs I read about Bandon mention how difficult it is to get to Bandon. Try getting there from Australia! Just returned from second Bandon trip this past Sunday night. First was in June 2010 and was part of 10 day drive and golf trip from LA to US Open at Pebble Beach (2 days) then on to Bandon where I played 6 rounds in 4 days then back south to play Harding Park in SF, Pasatiempo in Santa Cruz and finished with Spyglass. This trip was with great group of 7 guys and we planned 7 rounds in 4 days but added to that 8 more on day 2 (until it was too dark) and the Preserve on day 3. All flew in, 1 LA-SF-Coos Bay, 4 through SF and Eugene and drive, 1 through Eugene – Portland and I did non stop LA-Portland and drove down so I could play Pumpkin Ridge, Ghost Creek in Portland (fabulous course but recommend play in dry season). Getting there – everyone who flew through Eugene and SF had cancelled flights (in Eugene) and 3-4 hour delays in SF as did Coos Bay flyer. I think that had as much to do with small planes as SF fog. I will continue to fly to Portland and make the 4 hour drive. Lodging – have stayed in Lodge and Lilly Pond – both are good and given that it’s all about golf, some post golf food and drink, all my room is for is collapsing so I will go with cheaper option with a bath tub for a hot soak. Caddies – have had 2 and been exposed to a few others and highly recommend them – per previous comments they not only know the courses and how to help you play them, but many of them know the history of the architecture and can talk about that which I find to be a big plus. Golf – there are no bad courses, only which one is your favorite. 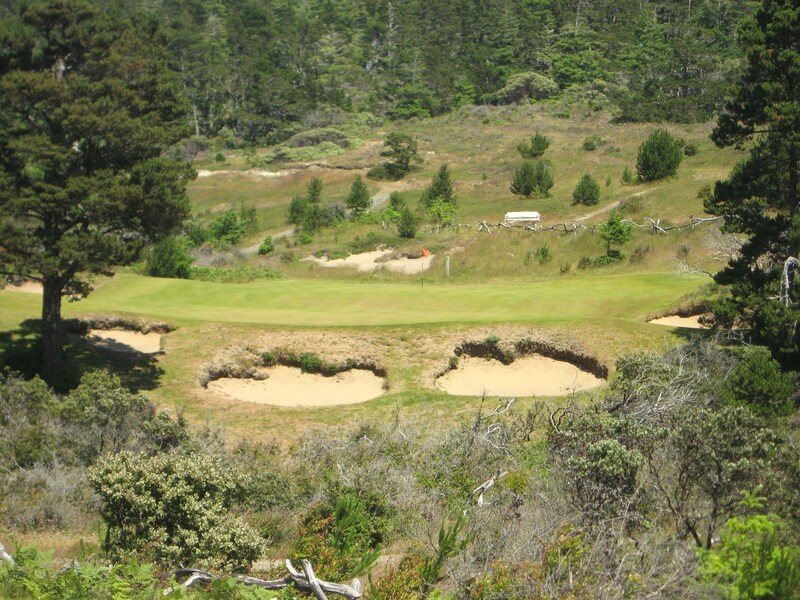 Mine is Old Mac, others in our group liked Bandon as #1 and other Pac Dunes. The Preserve had just opened and we were fortunate to get on it due to a no show, but I highly recommend it as well – you’ll never play a more beautiful or interesting par 3.